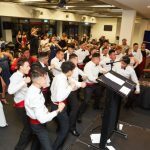 With the end of Term 1 looming I’ve been thinking about the year so far, the changes and the challenges. Like previous years it’s amazing to be part of the Kura journey. At our Kura powhiri, I spoke of this not being a school or even a kura. Instead what we are doing here is re-building our culture and our people by changing mind-sets and changing lives. With that thought I wanted to talk about us all being open to helping one another out where we can. Our Kura whānau and community is growing. This year across Paenuku, Paetawhiti and Paerangi we have 105 new ākonga and whānau, a total of 250 ākonga. For most of us the year has brought new opportunities and prospects, but for some of our new ākonga this is the first time outside the security of whānau, old friends and old schools and that can be very daunting. For a few newbies, who may have many other issues to deal with, this can be overwhelming. Families under stress = kids under stress = families under stress. Over the last week I’ve heard of a few cases of new ākonga harming themselves. If this comes to our notice, the Kura will step in and provide support and service where we can but if incidents occurs outside Kura, like on the weekends and you hear about this, please act, please reach out. We want to be a community that builds itself up and this means supporting those who aren’t able to from time to time. A dress rehearsal for ākonga involved in the Tai Tokerau Festival will be held at the Kura on Monday April 11. Prior to that—from 5-6pm—the Kura is holding a hui for whānau of Paerangi ākonga. The hui is an opportunity to talk about some of the big issues in front of us. It’s the last week of the school term so we’re going to stoke up the barbie and we ask whānau to bring a plate to help out. The Academy boys at Otiria this week. Here they’re pictured with Dr Monty Soutar (third from the right in the front row) a respected historian and author. The Leadership Academy have been at Otiria Marae this week supporting Māori military veteran’s who were lining up to present their claims to the Waitangi Tribunal. The Leadership Academy were asked to join the veterans and whānau for the hearing. The veterans claims stem from the treatment they experienced during overseas wars and missions, particularly during the Second World War and the Vietnam War. There are over 40 claims before the Tribunal to consider. Some of the applications are detailed and harrowing accounts of the veterans treatment and exposure to chemicals such as Agent Orange which was introduced during the Vietnam War. 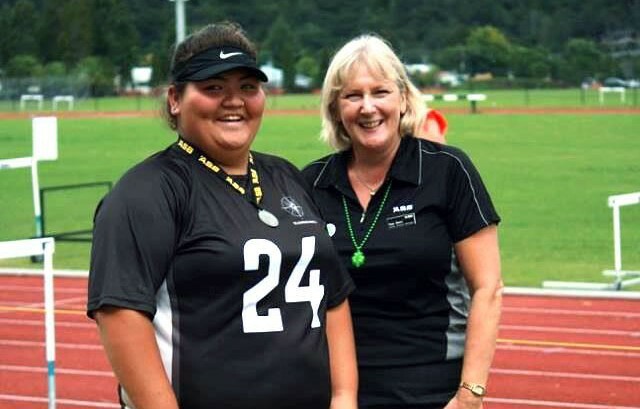 Waimahana Henare threw 11.22m at the Northland Secondary Schools Sports Track and Field Champs at Kensington Stadium last week, qualifying her for the North Island Secondary Schools Champs in Auckland during April. 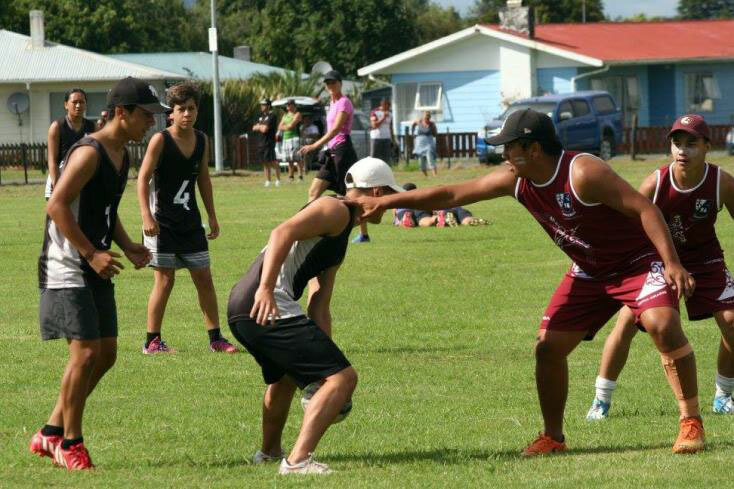 Over a dozen schools were represented at the champs, including Te Kāpehu Whetū. Tane Heta (top left) just missed out on qualifying. While (right) Henare Beattie jumps his way into second place. Henare Beattie, second, senior long jump (5.69m).  Tane Heta, first, junior high jump (1.56m). Tane’s jump was 1cm short of qualifying for the North Island champs. The 12 ākonga who represented the Kura were: Diani Timms, Qadmiel Edmonds, Shawn Schults, Waimanaha Henare, Te Hurinui Retimana, Kewene Edmonds, Awarau Awarau, Urutai Davis, Aotea Parata, Tahu Potiki Tawhiwhirangi, Tane Heta and Shawnee Samuels. The final programme has been published and our Kura will perform at 2.30pm on Thursday 14th April. Each group performs once only. 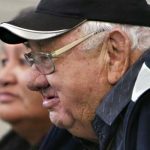 Otamatea’s hāngi is now only being provided on Wednesday. Those whānau who have paid at the office can collect those hāngi from Kura, at the end of the day on Wednesday 13th April. A representative group from Kura will go to the pōwhiri and will return with those hāngi that have already been paid for. Whānau are asked to ensure your taitamariki have a packed lunch or money for lunch at Otamatea – there will be a variety of stalls on the field near the stage. Otamatea High School is a parakore kura. This means zero waste. When we go to festival we are expected to take all of our rubbish that is not recyclable, home with us. We will be implementing some systems to tautoko this kaupapa of in our own Kura environment and preparing our taitamariki to manage this expectation at festival. Due to Easter Weekend, there is no kapa haka practice on Monday. Next week kapa haka will be held from 9.15am until 3.15pm on Friday 1st April. 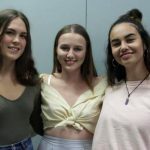 All Paetawhiti and Paerangi students are expected to wear number ones to festival. If your tamaiti does not yet have these, it is a good time to get this organised. Please check the uniform requirements for your tamaiti. Remember also that the weather is changing and it may be a lot cooler than it is now. A generic permission slip and medical consent forms for festival are attached to this pānui. Please complete these fully and return them to the Kura office urgently – hard copies have been sent home with your tamaiti. Please ensure that your tamaiti’s details are up-to–date and list any other health concerns at the bottom of the accident and emergency consent form. The festival kapa haka group will be supporting the opening ceremony for the 2016 International Rally of Whangarei, at Te Matau a Pohe, on April 29. The rally attracts international rally cars who race on a circuit in the Whangarei area, and runs from Friday until the Sunday. This is the last Friday of the school holidays, therefore all Whangarei kapa haka students are asked to be at Kura by 3.00pm that day, dressed in number ones. Our group’s mahi will be completed and our taitamariki will be ready to be picked up to go home at 6.15pm. A huge thank you to whānau for your support with this. 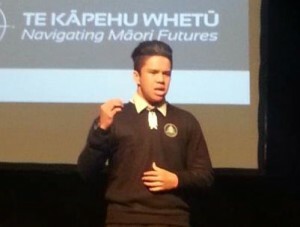 Last year’s rep at Manu Kōrero, Hirini Henare. The regional contest of Ngā Manu Kōrero this year will be hosted by Bay of Islands College, at their kura from the 8th to the 10th of June. We have already had a number of students express interest and the Kura expects to be well-represented in all of the five sections. Names of our representatives will be confirmed by the end of week 1, term 2, and arrangements will be notified in the week following that. This year the national contest is hosted by Te Taitokerau, in Whangarei, from 20 – 22 September. The Kura will be supporting with hosting and will be seizing the opportunity for our taitamariki to view and hear some outstanding oratory talent in Te Reo Māori and English. Mark these dates on your calendar – this will be an event you will not want to miss. The only ākonga permitted to bring vehicles to Kura are the Year 13 students who have completed the necessary application forms. Driving a vehicle to Kura is a privilege, not a right. 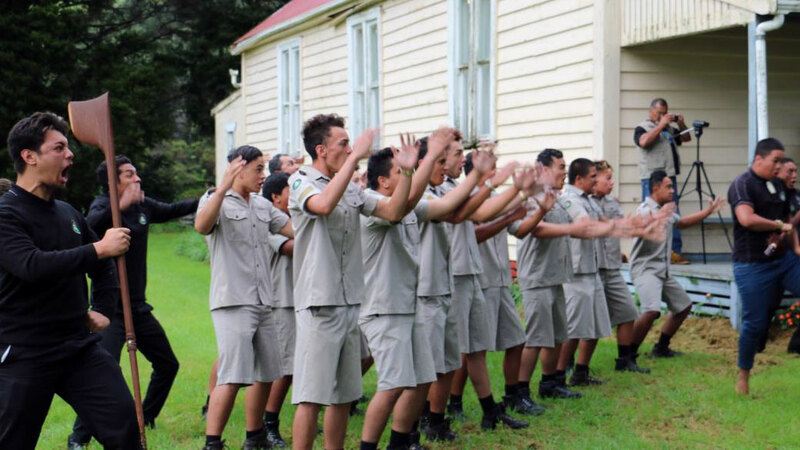 The Academy boys haka the Māori veterans at Otiria Marae on Monday. 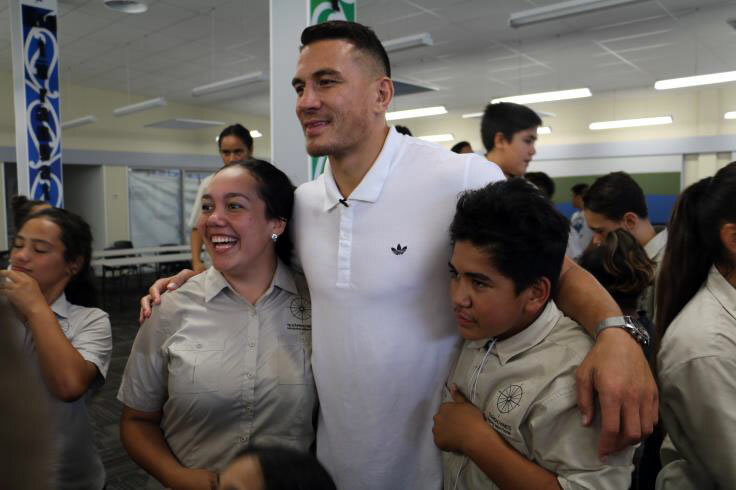 Meanwhile sports megastar Sonny Bill Williams made a random stop at the Kura on Wednesday. His appearance caused a frenzy as he mixed and mingled with ākonga and staff.